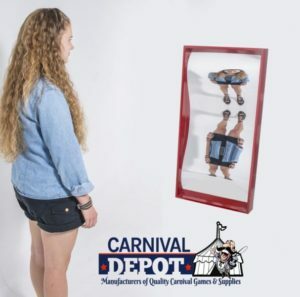 Funhouse Mirrors – How do they Work? the reflection you see is exactly as it is in real life. However, when mirrors are curved or better yet tilted, they can show us things we would not have expected to see; the reflection distorted. device in fiction. Moreover, they have also become popular in Halloween because, their ability to distort an image can be easily turned to the advantage of the pranker. Funhouse mirrors employ curved or tilted surfaces in different parts of the mirror. This alters the angle at which the reflected light hits your eyes which is typically slightly above or slightly below the eyeline. Our brains perceive this reflection as the light that is coming directly from the source, thus creating a distorted view of the object or person. Moving back and forth distorts the image further because it changes the angle at which the light is entering the eye as the brain tries to interpret the quick changes in the reflection it is receiving. The magic or rather the science behind funhouse mirrors are convex and concave mirrors or a combination of the two. A convex mirror is bulged or curved outwards making you look thinnerand taller. Moreover, a concave mirror is bulged or curved outwards making you look shorter and fatter. A more complex funhouse mirror is created by combining concave and convex surfaces in one mirror to create more composite reflections with unique looks. mirror and the ray being reflected away from the mirror are always equal with the normal being the reference point. Altering the surface of the mirror changes the normal line to its surface consequently altering the reflection angle. 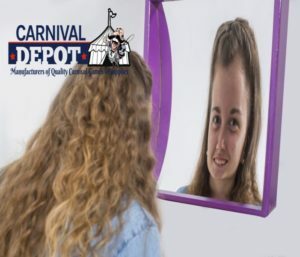 Thus, it can be said that a funhouse mirror has different normal lines, and consequently, different reflections points, that create a distorted image when all these reflections hit the eye. Are the mirrors made with real glass? Our funhouse mirrors are not glass. We use an 1/8″ thick acrylic mirror material. Many of our customers transport the mirrors from one event to another. 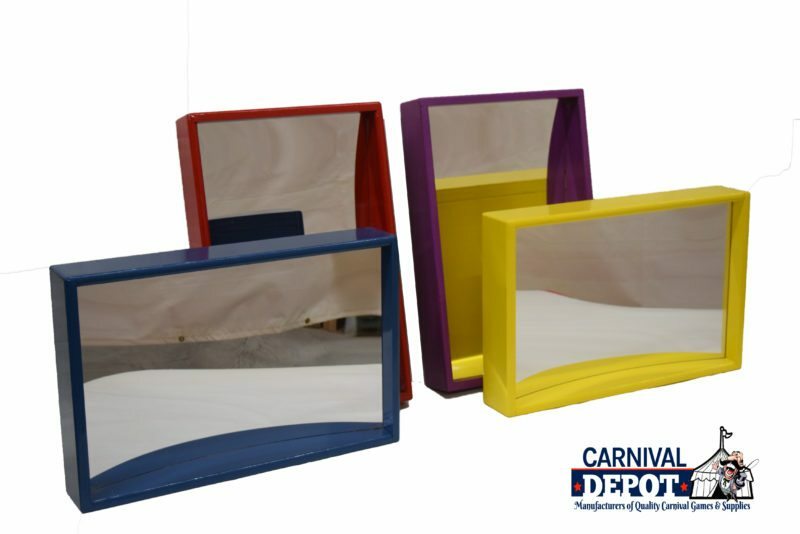 The acrylic mirror is much more durable and break resistant than glass which is a must for rental companies and amusement parks.